There have been many successful advertising campaigns implemented over the last decade. If you are looking to increase sales for your business, you may want to know what details make these campaigns successful so that you can utilize the same tactics for your business. Once you know the different between marketing vs advertising, there is a ton more that you can still learn to improve your craft. This post will highlight five of the top advertising campaigns of recent years, illustrating what lessons you can learn from each to implement in your business and improve sales. Dove’s “Campaign for Real Beauty” was the first movement by a large corporation towards more inclusive marketing. There are two reasons this campaign proved so successful. The first of which is that Dove did what no one else had done before. The innovative ads made people talk, which is very good for business. Another reason it did so well was because the advertisements featured people their target audience could relate to. Dove proved they knew their market segment well. This encouraged customers to relate good feelings to the brand name. Similarly, you can make your future advertisements innovative and relate-able like Dove’s “Campaign for Real Beauty”. Nike’s “Just Do It.” campaign is probably the most widely known and best remembered campaign of current times. The campaign is so well remembered, in part, due to the succinct message it delivered. Nike only used three words, but those three words meant much more to the average person. Like Dove’s campaign, this slogan was one that millions of people could relate to and translate to their personal lives. You can improve sales for your business using these tactics as well. Keep ads simple, but memorable. Absolute Vodka had one of the best advertising campaigns ever because it was the longest uninterrupted ad campaign ever, with over 1,500 advertisements spanning the course of 25 years. In this campaign, Absolute Vodka created ads featuring their bottle “in the wild.” These ads showed the Absolute bottle shape in New York City taxi cabs and Paris metro entrances. If you want to learn from the best, learn from Absolut. If your product ilooks boring, you can still tell the story of the product in a fun and interesting way. Learn the importance of creativity and differentiation from the Absolute Bottle in the Wild campaign. This ad campaign created the most recognizable marketing character of recent times. One of the reasons the Most Interesting Man in the World campaign did so well is because it produced a character that was so widely parodied. People love humor. 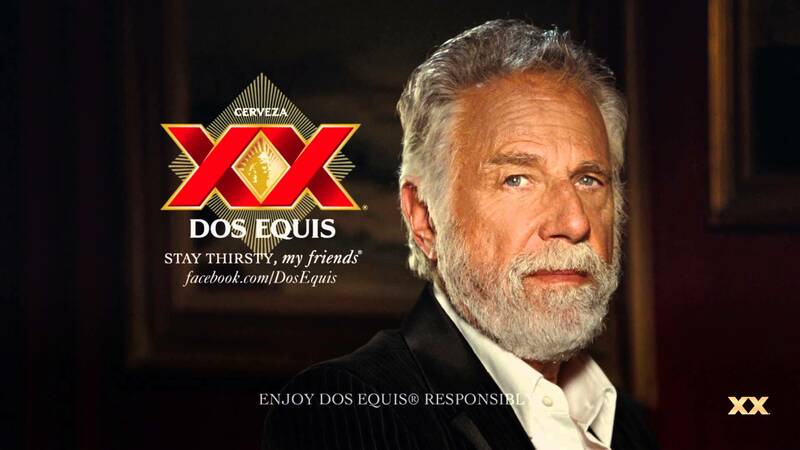 Building on that emotion, Dos Equis’ Most Interesting Man in the World was a playful character that potential clients could enjoy and poke fun at. If you are able to make your next ad campaign funny, but not too silly, you will have hit the perfect balance and will see successful results for your business. Red Bull’s “Stratos” campaign was an incredible success for the company for many reasons. The factor that contributed most to the campaign’s success was its use of anticipation and excitement. Obviously not every business will be able to fund a man’s jump from the edge of the earth, or find one willing to do it at all. However, the key is to make use of that element of excitement just as you would with your unique business cards designs. For you business, this could mean making viewers of the campaign feel excitement for some aspect of their own lives or excited about a new product you are releasing. Remember to incorporate these elements into your next ad campaign to guarantee its success. The reason this particular campaign was such a great success was because it was inspirational and made great use of market positioning. Every woman remembered these ads because seeing them made them feel good. Women felt good about being women when they saw these ads. The campaign was also a success because it focused on the strengths of their particular audience. You of course already know that is absolutely necessary to target your advertisements towards your desired audience. However learn from the success of Always’ campaign; create a campaign that makes your audience feel good about themselves, their lives, and your company. Inspire your audience, and your sales will improve. No matter what type of ad campaign you run, make it memorable. That is the ultimate goal of all advertising campaigns, even those that use 4P marketing tactics. You want you commercial or other types of ads to be memorable. Having memorable ads makes your business memorable. Having consumers remember your business improves brand recognition and brand loyalty. This is huge marketing goal for most businesses. If you want to achieve it, use effective marketing strategies to create the most memorable ads of all time. These are five top advertising campaigns of recent years. In order for your campaign to have similar success, remember to employ similar tactics. It will do more for your business than a redesign website overhaul ever could. Make your advertisements relate-able, simple, funny, exciting, inspiring, or some combination of several of these elements. Keep your target audience and the personality of your business in mind when creating your next advertising campaign. It will be sure to increase sales and improve business.